There were 29 press releases posted in the last 24 hours and 153,152 in the last 365 days. Interview with Military Flight Training speaker Lieutenant Colonel Erik Rozema-Seaton, Commanding Officer, Royal Canadian Air Force has recently been released. LONDON, WATERLOO, UNITED KINGDOM, July 3, 2018 /EINPresswire.com/ -- This year’s Military Flight Training conference, taking place in London, UK on the 10th and 11th October 2018, is set to attract an international audience of high-ranking military personnel and industry experts sharing their personal experiences in military flight training, as well as presenting the latest training programs and simulators. This upcoming event will provide attendees with an opportunity to listen to comprehensive briefings from leading military speakers discussing their experience in the latest flight training programmes and systems. In addition to this, attendees will be able to hear the military’s perspective underlining the economic move towards synthetic training and advanced simulators. 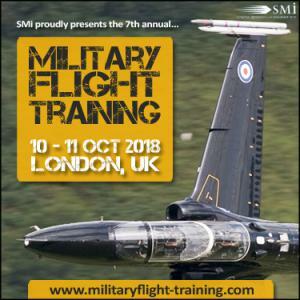 Attendees will also gain an understanding of new threats and why they require military flight training and capabilities to be kept as up to date as possible, as well as an understanding of how integrating novel training techniques whilst using legacy equipment can ensure full operational capabilities. Key speaker Lieutenant Colonel Erik Rozema-Seaton, Commanding Officer, 426 Transport Training Squadron, Royal Canadian Air Force who will be presenting on day one of the two-day conference, spoke with SMi Group to further discuss his role in the Royal Canadian Air Force, how they’re enhancing flight training, interesting platform and training program updates, and what he’s looking forward to at the 7th annual Military Flight Training conference. 1. About you – what is your role and what perspective do you bring to the conference? My role as Commanding Officer of 426 Training Squadron is to lead a team focused on generating operationally effective transport aircrew and technicians in support of Canadian Armed Forces operations. I bring a combined 20 years of military aviation related experience including over 3000 flying hours traveling around the globe as an Air Navigator on the CC-130 Hercules and E-3 AWACS in both the instructor and evaluator capacities. I also have participated in numerous domestic and international exercises and operations, including areas such as the Middle East and Afghanistan. 2. What platform updates or training programmes have really caught your eye in the past couple of years? One of the most significant areas of improvement over the past few years has been within the training of maintenance technicians. Embracing simulation training devices has allowed us to more efficiently use resources and provide a level of instruction that is more relatable and engaging with our current generation of students. Lieutenant Colonel Erik Rozema-Seaton has more than two decades of experience with the Royal Canadian Air Forces and recently assumed command of 426 (T) Sqn on 20 July 2018. He will be presenting “Simulation use in training of RCAF C130J Personnel”, focusing on providing innovative training solutions for aircrew and maintenance personnel, the development of relationships between military and contractors, details on updated training delivery models, and the benefits, challenges and the future of the training program.